OLD PARKED CARS. 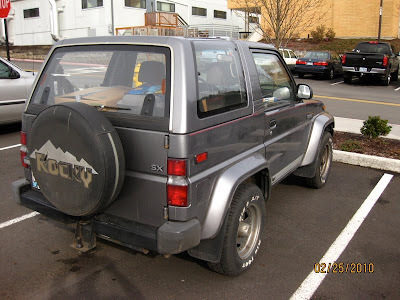 : 1990 Daihatsu Rocky SX. Photos inadvertantly datestamped--what an amateur! Looks like a poor rip off of a Samurai. That actually looks more manlier and better looking than a Samurai. 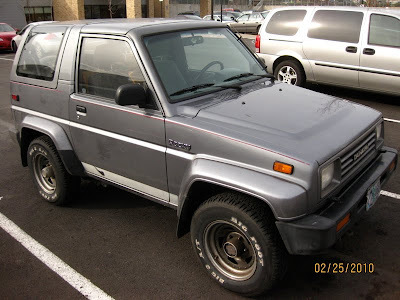 Where were all the Daihatsu dealers located in the US? Because I don't recall them being on the East Coast. 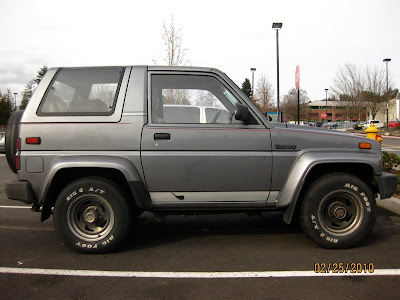 I have one of these but customized a bit. Toughest little truck around.